This candle looks good enough to eat! Our very good friend Dianna presented me and Mom with an awesome award yesterday. The Candle-lighter Award is given to blogs and bloggers “that light a candle in the darkness” with their blog. How very cool is that? It makes me feel so nice and warm inside (just like this candle) that anybody thinks One Spoiled Cat brings light into the world. Know what else is different about this award than many of the others? There aren’t ANY rules to follow……all you do is pass the award on to other bloggers who bring light into the world with their blogs. Doesn’t get any easier than that huh? These are the blogs that we’d like to pass the Candle-lighter Blog Award on to…..they certainly brighten OUR lives and if you haven’t visited them yourself, we suggest you do! I’m just excited that someone thinks One Spoiled Cat is deserving of ANY award…..but this one – well – it’s kind of special isn’t it?! Thank You Dianna - More Bling!! My goodness! What a day this has been. 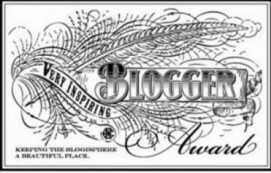 Sam has allowed me to take over his blog so I can comply with the requirements of receiving this awesome blogging award courtesy of our good friend Dianna at http://thesedaysofmine.com. Her blog totally deserved this award as she’s a wonderful photographer who “specializes” in beautiful sunrises and sunsets. 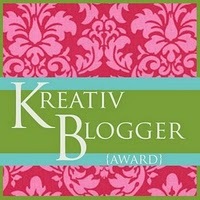 Also, Sammy and I want to congratulate all the other nominees/winners of the Kreativ Blogger Award. Now for the fun…….the requirement to receive this award is that Sam (after all it’s HIS blog) confess some things that he’s never confessed before in his blog. Well, Sam’s pretty much told everything there is to tell about his ginger self so I thought I’d step in and do the confessing. They say confession is good for your soul? Hmm…..we shall see! When I was younger (way younger) I used to ride a motorcycle and actually used to race on a dirt track with some of my crazier friends (including my brother Mike). I’m pretty sure I was a big fat spoiled cat in a previous life. My favorite food is fried eggplant. Most people think I’m from Virginia but I was in fact born in Louisville, Kentucky where my Mom felt me “kick” inside her for the first time while she and my Dad were at the Kentucky Derby in 1947! Sam asked me to post a couple of his favorite blogs here as also deserving of a Kreativ Blog Award – so here they are, and if they’d like to “play along” and accept the award then super! 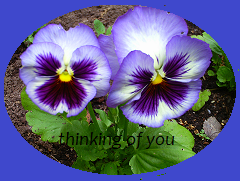 http://isobelandcat.wordpress.com is a very creative blog by Isobel in England who has a cat named NotCat. Isobel’s photography is wonderful: city scenes, gardens, NotCat’s adventures and much more. http://pedrothecat.com is the hangout of Sam’s friend Pedro, the soon to be most famous cat in the universe, and his housemate Kitty. This blog is funny, clever, and tons of fun.